Why you need to stop apologising for having chronic illness. 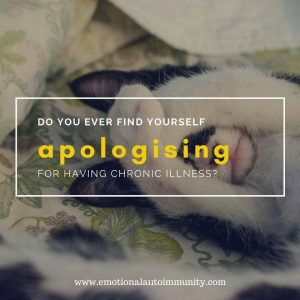 You are here: Home / anxiety / Why you need to stop apologising for having chronic illness. 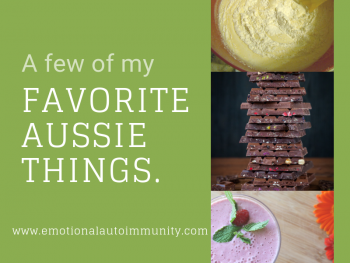 When I first became chronically ill, I found myself apologising a lot. I apologised for crying and because I cried with most of the people I know, I spent a lot of time apologising. I apologised to my children because I felt awful that they were seeing me so sick and helpless. I apologised for having to ask my family and friends for help because I was unable to do things myself. I apologised because my energy was so low and I was feeling so sick, that I was not able to speak on the phone for longer than 5 minutes. I apologised because in some way, I felt like I was letting everyone down by being sick. Chronic illness, especially when it is invisible to others, has a way of making you feel so much less than you were before that it can start to lead you down a very deep, dark and dangerous emotional path that is full of guilt and self-doubt. You can become keenly aware of how your life used to be, who you used to be, and how your life is so different now. You can start to feel like a burden to the people who love you, so that part of you wants to offer them an “out” of the relationship because after all, no one wants to be stayed with out of pity. You can feel so different, so changed and so less than who you were before, that you begin to wonder if you are actually damaging the people who you love. 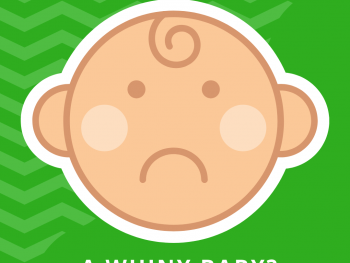 You start wondering what it will do to your children or your partner to be saddled with someone who is no longer able to do or be who they were before. 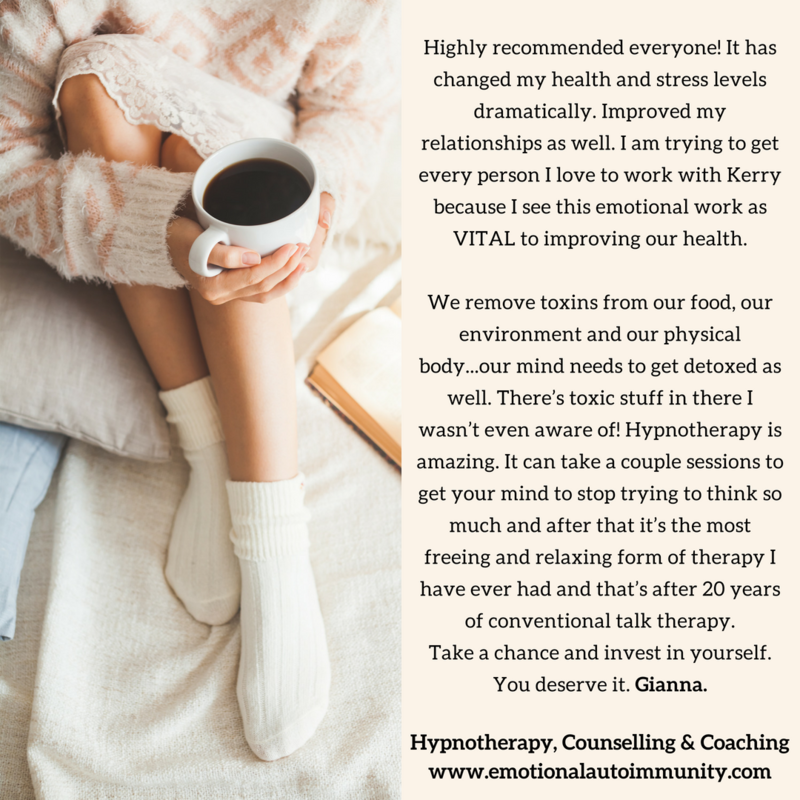 Then those thoughts and doubts and fears can become incredibly overwhelming and lead to more anxiety, more depression, more grief and loss and pain which adds to the overwhelm you are already feeling. This reaction is a completely normal part of experiencing a difficult or traumatic life changing event. 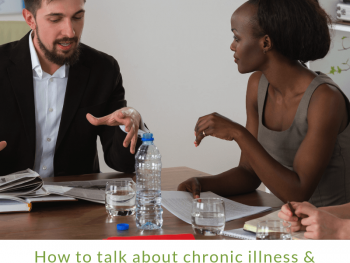 What is different is that when it comes to developing chronic illness, the emotional and psychological effects are not acknowledged by the majority of the medical profession. Which means that for the large majority of people with chronic illness, the very real and life changing impact of what is happening to you is completely trivialised and ignored, so it can feel like there is no one who actually understands the enormity of what you are dealing with or going through. I knew that something earth shattering had happened to me, but at the time, it felt like I was the only person who had any idea of what I was going through, which only added to my feeling of helplessness, isolation and fear. So I started reaching out. I started talking to anyone willing to speak to me about what they had experienced and what they did that helped. Just knowing that there were others out there going through the complex grieving process that I was experiencing, helped me start adjusting, start adapting and start getting back in control of my life. I stopped apologising because I realised I had nothing to apologise for. I didn’t ask for chronic illness and it is not something I would have willingly chosen for myself. I would not have wished it on my worst enemy! But it is now part of me and part of my life and part of who I am, in the same way that any other big, challenging event in my life has helped shape and change me as a person. Chronic illness is not your fault. Chronic illness is not something that you are deliberately inflicting on your partner, children, friends and family. It does not make you any less worthy, loveable or deserving than how you were before. You need to stop apologising because it just keeps feeding the belief that this is somehow your fault or that you are somehow hurting or damaging the people who love you. Acknowledge your illness and any limitations you have. 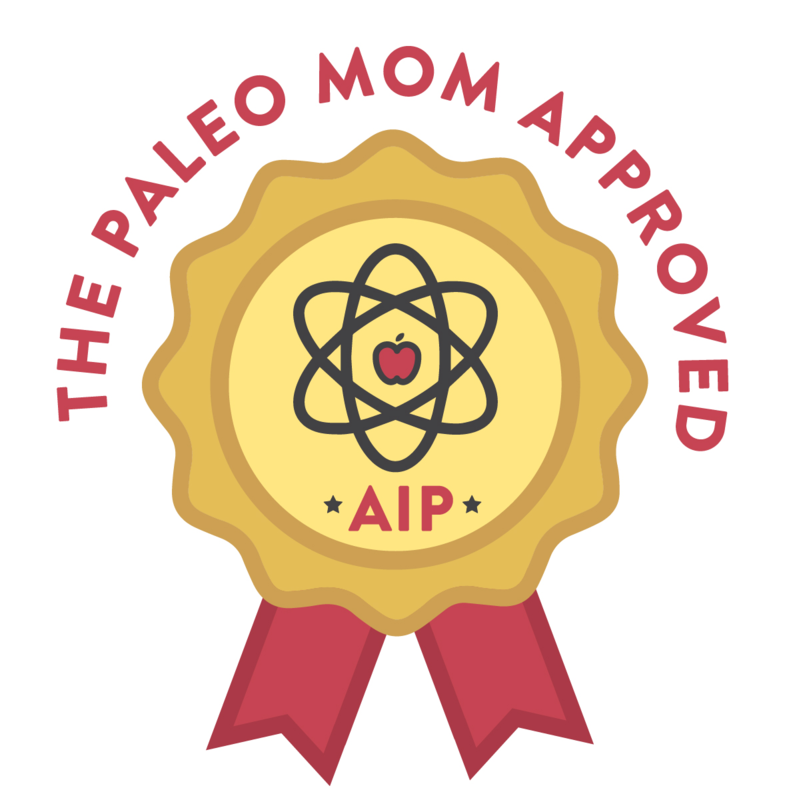 They need to be discussed with the people you love in a factual, practical way, exactly as you would have to do with any other life changing event. This is what I have. This is how it affects me. This is what we need to talk about managing now. Get over your guilt! This is not something you are inflicting on others. This is something that has happened to you that you are doing the very best you can to deal with. You have nothing to feel guilty about. 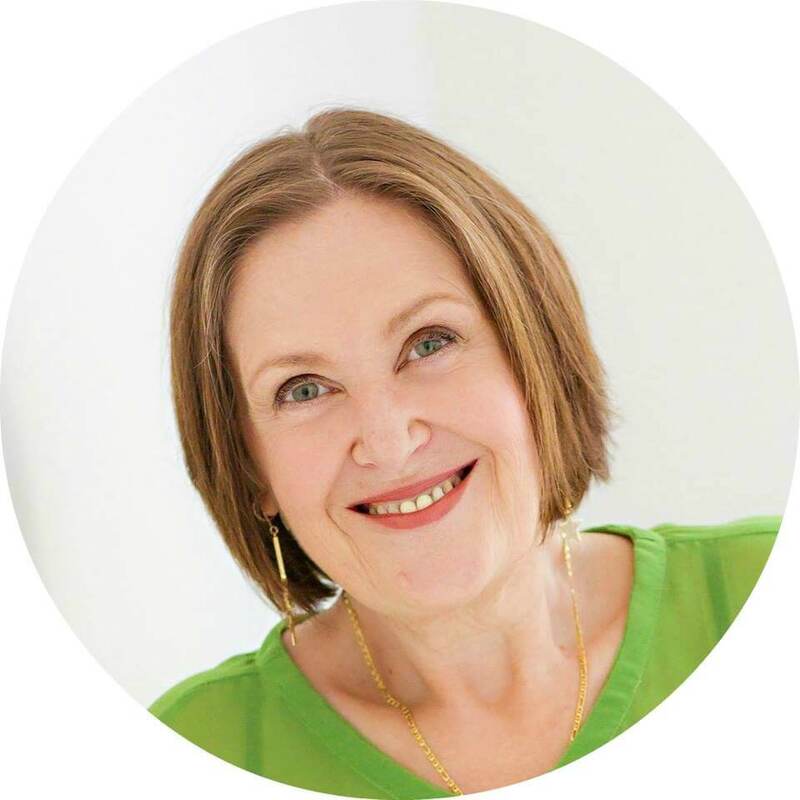 If you are stuck in guilt, watch this webinar recording which will help you understand it and get past it. Feeling guilty? Don’t expect people to understand or just “get” what you are going through. They can’t. Until you experience chronic illness, it is something that you will really struggle to understand. Educate them instead. Help them understand that it is not you, it is the condition and that you are now living within different parameters. There will be some open, honest conversations that you need to have, some of which may feel incredibly difficult. They can however make your relationships deeper and closer than they were before. Being chronically ill is not something that you need to apologise for. It is something beyond your control that has happened to you and that you need to find a way to accept and adapt to. Don’t spend another moment apologising. Save that for when you really have done something you need to be accountable for. If you found value in this post, please, share it with your friends. Previous Post: « Feeling guilty? Why you feel guilt and the secrets to getting rid of it.